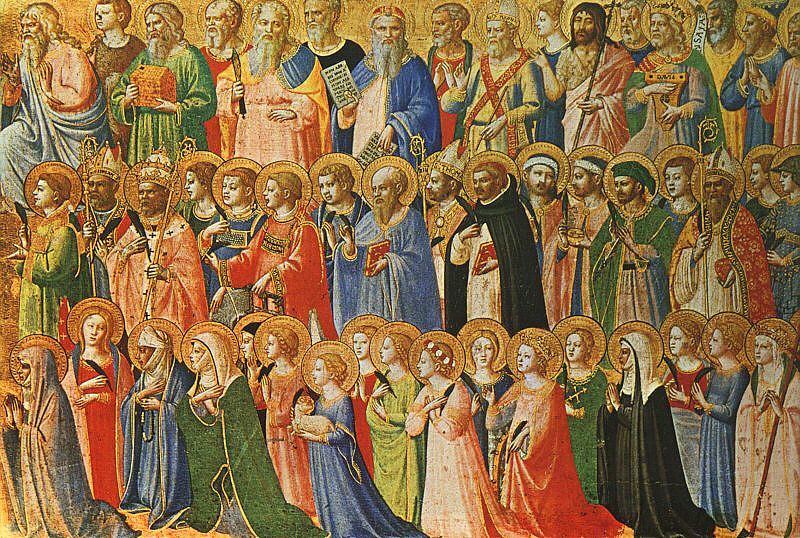 WE ARE SURROUNDED BY SAINTS WHO CARE DEEPLY ABOUT US! If the “saints” here on earth can prayerfully intercede on our behalf (see Romans 1:9; 1 Tim. 2: 1-3), how much more so can the glorified Saints in Heaven who stand before the the throne of God (see Rev. 5: 8-9)! 4). who are in Heaven. 2683 The witnesses who have preceded us into the kingdom, especially those whom the Church recognizes as saints, share in the living tradition of prayer by the example of their lives, the transmission of their writings, and their prayer today. They contemplate God, praise him and constantly care for those whom they have left on earth. When they entered into the joy of their Master, they were “put in charge of many things.” Their intercession is their most exalted service to God’s plan. We can and should ask them to intercede for us and for the whole world. As we run the race of salvation (the metaphor used in Hebrews 12:1) it is comforting to know that there are a “huge” multitude of saints in Heaven who are “intensely interested” in us persevering to the end! “We can and should ask them to intercede for us and for the whole world” (CCC 2683). P.S. Even a number of Protestant commentaries, in commenting on this verse from Hebrews, establish that, at a minimum, the Saints in Heaven are very interested in what is happening on earth. Any ads following in this note are by WordPress and not CatholicStrength.